Will Phil Ivey Return to Las Vegas for the World Series of Poker? There is a non-zero chance that Phil Ivey's days of playing poker in Las Vegas are done. After years of battling, the Borgata came out victorious against Phil Ivey in their much talked-about "edge sorting" case. The Borgata claimed that Ivey and his associate cheated to win over $10 million from the casino while playing Baccarat, while Ivey and his team of lawyers maintained that he was simply using "advantage play" to gain a legal edge over the casino. Despite numerous appeals and many hours spent inside of a courtroom, Ivey ended up losing the case to the Borgata, as well as a similar case involving Crockfords. The Borgata wants their money back and they are expanding their net to try to track down Ivey's assets. The Borgata first tried sweeping the state of New Jersey to try and locate any assets belonging to Ivey, though they only came up with an empty bank account. Last month, the casino was granted the right to seize any assets belonging to Ivey in the state of Nevada. Will the casino find enough of Ivey's assets in Nevada to satisfy the $10.16 million judgment? If so, Ivey will be free to return to Nevada to play in the World Series of Poker (and other cash games and tournaments that he wishes to play in). If not, any money that Ivey were to win in a tournament would almost certainly be flagged for seizure by the Borgata. Ivey is obviously a high-profile player, and the Borgata would be immediately aware if he were to play in a tournament in Las Vegas. 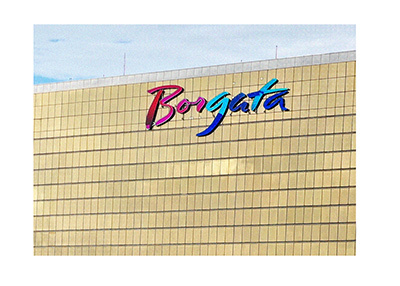 The Borgata is clearly going to leave no stone unturned in their pursuit of the $10.16 million. Will Ivey pay off the judgment, or will he be content to remain at his home in Mexico while playing in locales such as Mexico? If Ivey doesn't pay the judgment, there is a very good chance that he avoids Las Vegas entirely.